[S16] Jirí Louda and Michael MacLagan, Lines of Succession: Heraldry of the Royal Families of Europe, 2nd edition (London, U.K.: Little, Brown and Company, 1999), table 36. Hereinafter cited as Lines of Succession. Agnes zu Sayn-Wittgenstein was born on 18 April 1569. She was the daughter of Ludwig I Graf zu Sayn-Wittgenstein and Elisabeth zu Solms-Laubach.1 She married Johann Albrecht I Graf zu Solms-Braunfels, son of Conrad Graf zu Solms-Braunfels and Elisabeth von Nassau-Dillenburg, on 2 May 1590. She died on 29 April 1617 at age 48. Ludwig I Graf zu Sayn-Wittgenstein was born on 7 December 1532. 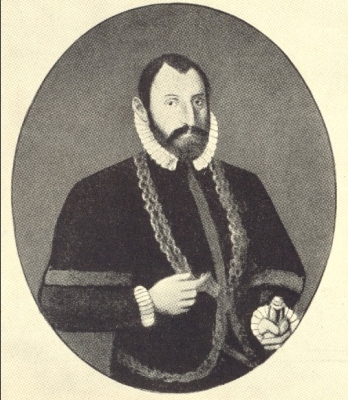 He was the son of Wilhelm I Graf zu Sayn-Wittgenstein and Johannette von Isenburg-Grenzau.3 He married, firstly, Anne zu Solms-Braunfels on 14 August 1559.4 He married, secondly, Elisabeth zu Solms-Laubach, daughter of Friedrich Magnus Graf zu Solms-Laubach and Agnes von Wied, on 13 January 1567. He died on 2 July 1605 at age 72. [S16] Louda and MacLagan, Lines of Succession, table 34. She gained the title of Gräfin von Leiningen-Hartenburg. [S16] Louda and MacLagan, Lines of Succession, table 33.